Please type upto three lines of text for the Water Fall Bridge . If a line is not required please leave blank. Travel back to a time when super-sized creatures ruled the world. 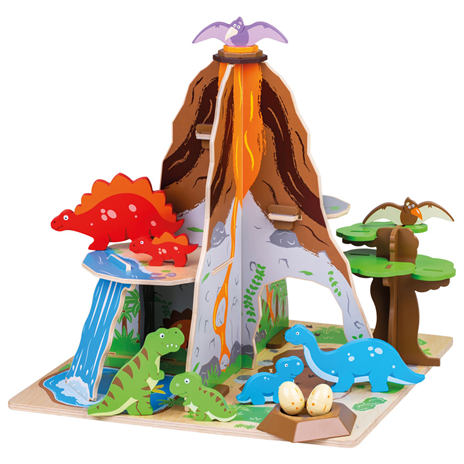 This complete Dinosaur Playset includes 8 dinosaurs, a nest and 2 eggs, a waterfall and a freestanding tree all ready and waiting to provide hours of imaginative play. The freestanding tree is movable, and the dinosaurs include adult and baby dinosaurs and 2 pterodactyls. Hide behind the waterfall, climb the volcano or balance on the rocky ledges; but watch out for the lava! 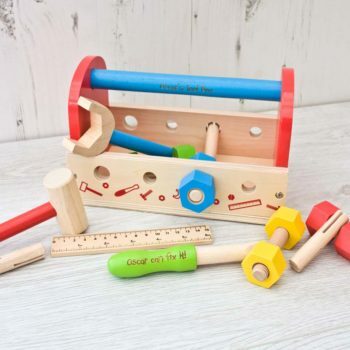 A fascinating, educational playtime is guaranteed with this complete prehistoric playset, as kids learn about the different dinosaurs and the history of when they existed. 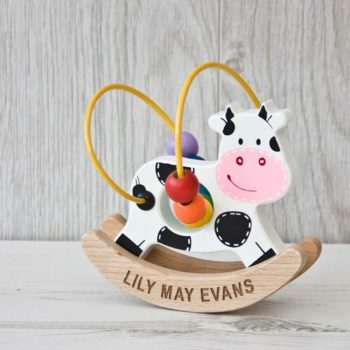 You’re sure to have lots of inquisitive little ones! Simply slot together the wooden pieces, and the prehistoric land is ready for some seriously roarsome play! 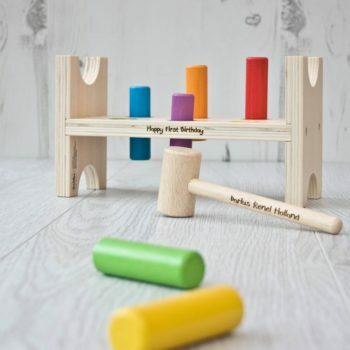 A great way to develop dexterity, imagination, social skills and coordination. Includes 13 play pieces. Made from high quality, responsibly sourced materials.